Fall's beautiful foliage makes the perfect backdrop for these great outdoor attractions and activities located throughout New York including the Adirondacks, the Capital Region (including Saratoga Springs), the Catskills and more. 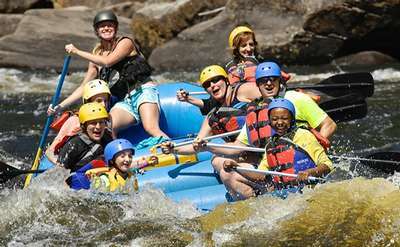 Located in the Adirondack Mountains near Lake George New York, our whitewater rafting trips on The Hudson and Sacandaga rivers as well as our kayak programs are unmatched. 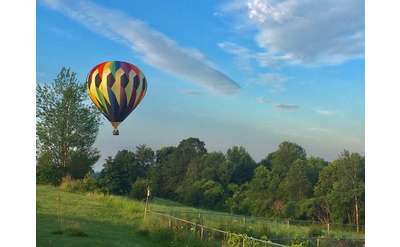 Experience counts, and with over 30 years and 3,000+ trips, Adirondack Balloon Flights is recognized as the premier hot air balloon ride company in the Capital Region. 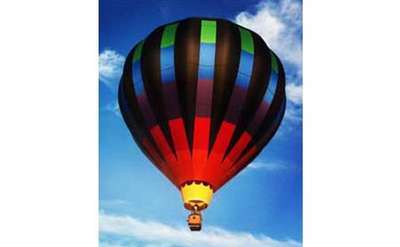 Their flights offer views of the Adirondacks, Lake George, and Saratoga area. Adirondack Cruise & Charter Co. Discover Saratoga's best kept secret - Saratoga Lake - while aboard one of Adirondack Cruise & Charter Co.'s two beautiful vessels. The company offers private charters and a variety of specialty cruises that are perfect for friends and families. BEST OF WINNER - Others have tried to imitate but will never duplicate. Enjoy bragging rights after you triumphantly conquer the United States' largest tree-top adventure course. Ziplines, aerial skateboard, Tarzan swings. Open April - November. Summer: Hike self-guided tour & explore LARGEST cave entrance in East, waterfalls, gorge, caves. Also guided adventure tours, gemstone mining, disc golf, climbing walls, dino dig, simulated mines, & extensive rock shop. Winter: snowshoe trails/tour. 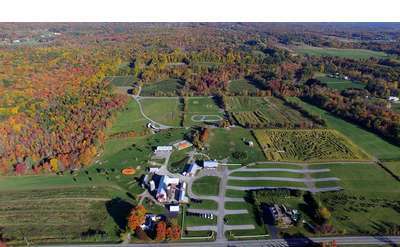 For old-fashioned fall activities kids of all ages will love, visit Ellms Family Farm over in Ballston Spa, NY. Create new memories and family traditions as you enjoy pumpkin picking, exploring a corn maze, more! We strive to insure accuracy on NYFallFoliage.com however accuracy cannot be guaranteed. Information is subject to change.